The Good Arts Building is a gem at the corner of First Avenue and Cherry Street at the north gateway to Seattle’s Pioneer Square District. 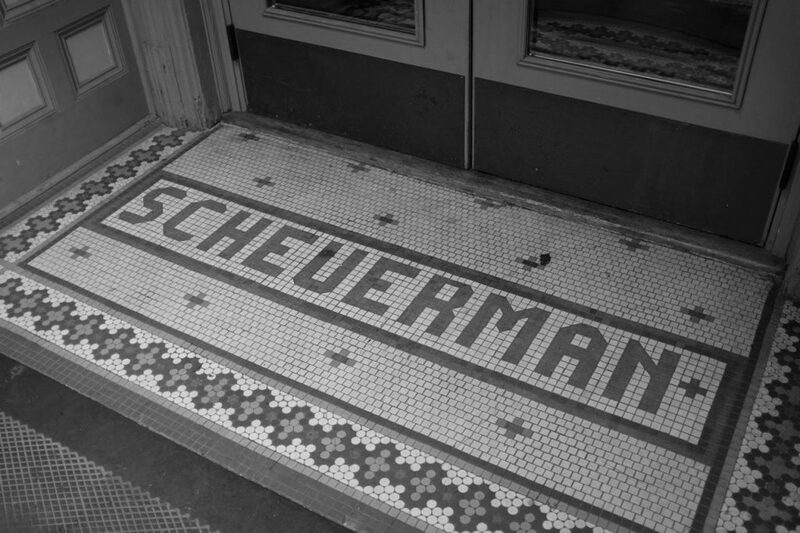 Historically known as the Scheuerman Block, it was designed by Elmer Fisher in 1889 for Christian Scheuerman and completed in 1890. Over the years, the building has been a hub of entrepreneurial, creative, and colorful endeavors. It has been the home to department stores, a two-story diner (“Good Eats”, from which our name derives), a cigar store, a jazz club, a boxing gym, brothels, speakeasies, and the original office of Washington Mutual Savings Bank. In the nineteen-seventies the basement housed the first gay and lesbian community center in Seattle, followed by the Skid Road Theatre, in which such local theatrical stalwarts as Kurt Beattie, R. Hamilton Wright, and Linda Hartzell produced original shows during the theatre’s ten successful years. In 2011, a dozen artists who had been evicted from the nearby 619 Western Building established ’57 Biscayne studios on the second floor. In 2015, Good Arts LLC purchased the building with the mission of preserving its artistic heritage and affordability to creative enterprises. Currently, the artist-run underground tour Beneath the Streets is headquartered in the building’s basement. In our first two years, we hosted pop-up galleries for the Center on Contemporary Art (CoCA), Seattle Art Fair, and LaSala Latino/a Artists’ Network, and independent artists from around the world; as well as a venue for the Upstream Music Festival. Good Arts Partner Cherry Street Coffee House completed renovations on its brand-new anchor location at the corner of First and Cherry this summer, adding evening hours, wine, beer, art, and music. The Good Arts Arcade opened shortly thereafter at 108 Cherry Street, which houses retail tenant H Bailey vintage menswear, master tailor Sew Generously, and a couple more artists’ studios off a shared gallery. In 2018 we completed an expansion of ’57 Biscayne artist on the third floor, adding 13 additional studios and the Salon Rue de Cerise guest suite. Bad Bishop bar opened later that year in the former Easy Joe’s restaurant space on First Avenue.